Very detailed! 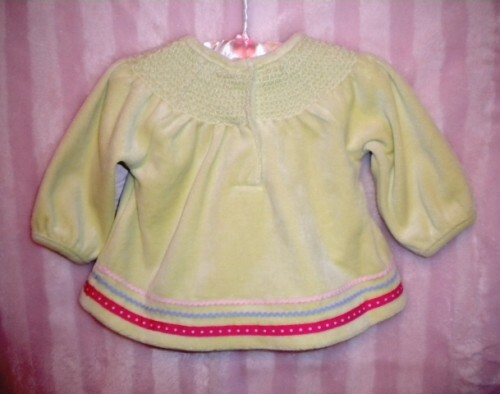 Adorable Gymboree Infant Top in Pale Green with Hot Pink, Blue and Pink accents. 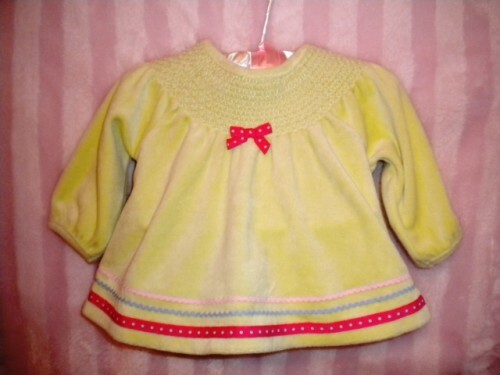 Decorative neckline with bow at center, along with decorative trim at waist! Snaps at neckline in back. Very Soft!